The story takes place during the American Civil War, and begins with Mr. March away from home as a chaplain to the Union army, while his wife and daughters remain at home to work and wait for his safe return. This book follows their joys and sorrows and scrapes along the path to the girl's becoming grown up "little women." Many of the scrapes they get into include Laurie--their harum scarum next door neighbor, who becomes their adopted brother. The two families, The March's and the Laurence's strike up a lasting friendship, despite their differences in material belongings. Louisa May Alcott (1832 - 1888) Louisa May Alcott (November 29, 1832 - March 6, 1888) was an American novelist best known as author of the novel Little Women and its sequels Little Men and Jo's Boys. Raised by her transcendentalist parents, Abigail May and Amos Bronson Alcott in New England, she grew up among many of the well-known intellectuals of the day such as Ralph Waldo Emerson, Nathaniel Hawthorne, and Henry David Thoreau. Nevertheless, her family suffered severe financial difficulties and Alcott worked to help support the family from an early age. She began to receive critical success for her writing in the 1860s. Early in her career, she sometimes used the pen name A. M. Barnard. 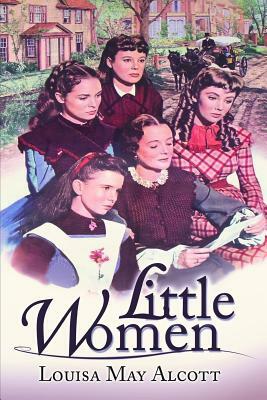 Published in 1868, Little Women is set in the Alcott family home, Orchard House, in Concord, Massachusetts and is loosely based on Alcott's childhood experiences with her three sisters. The novel was very well received and is still a popular children's novel today. Alcott was an abolitionist and a feminist. Never married, she died in Boston.